1. Know this sad truth: NO boundaries = little self esteem. your boundaries are. They should roll off your tongue like the alphabet. Your boundaries are your values. Boundaries are representative of how much or little you respect yourself. Boundaries are your friend. Decide what your core values are. Who are you? What do you value? Figure out what, exactly, you’re comfortable with and what you aren’t. For example, since I work at home and need it to be quite, I will place a note on my door stating I am busy and I will not answer when someone knocks on my office door. I expect to be notified in advance before someone comes to visit and I expect 100% honesty from everyone at all times. Once you get clear on what matters most to you, then you can take bigger steps of communicating this to others. This is the key: Instead of creating your boundaries around a difficult relationship in your life, you must make your boundaries about you. For example, my boundaries with unexpected visitors is about honoring the fact that since I at home I know I need to use my time wisely or I will get behind on my work. This boundary is to decrease my stress level and not about avoiding visits from friends or distancing myself from loved ones. You can’t change others, so change yourself. Gosh, we all want others to change, right? I mean, that’s part of the human experience. We get into arguments with our partners or children hoping, wishing, and demanding even…that they STOP being difficult. We get mad when our moms call us five times in a day. You want your co-worker — that one who is so negative — to treat you with more respect, etc. The list is long. Decide the consequences ahead of time. Let your behavior, not your words, speak for you. You present your boundaries clearly to people and then let your behavior do the talking. So, if anyone calls me continuously during the day, and they know my boundary, I simply do not pick up the phone until after 5pm. People WILL test, push and disrespect your limits. You’ll know you’re getting healthier when this doesn’t get an emotional reaction out of you. When your boundaries are your core beliefs, you will not get riled up if you are tested. The biggest part of boundaries is HOW clearly you communicate them. You can have the healthiest set of boundaries on the planet but if you do not communicate them clearly, you are going to create some really confusing relationships, both for you and everyone else involved. One way to quickly get someone to question your character or authenticity? Say one thing and do another. Sometimes we’re afraid to confront others with truth in love or relationships. We’re afraid to tell people what we really want, to admit that we hate going to certain restaurants, or have trouble spending time with a friend’s toxic cousin, or hate when a boss dumps deadlines on us at 6pm on a Friday. We conceal our true feelings because we’re scared of people’s reactions. 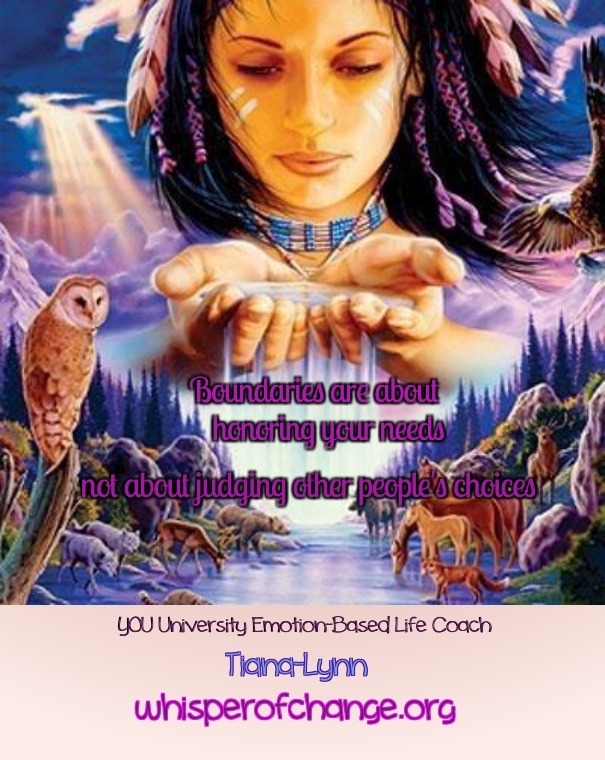 The more you ground yourself with your boundaries and values, the more you’ll be able to be very clear in your communication! Get ready for your life to change because it will.